Have you ever wondered who the best female BUBBLE PERFORMER for events is? Are you looking for a professional bubble entertainer for your child’s birthday party? The techniques and skills of a bubble entertainer these days so much more advanced than they were a few years ago. The best female BUBBLE PERFORMER for events has certainly gained her reputation for that status simply by the way she presents her entertainment show and performs her bubble skills in front of audiences whether they are children or adults. Whether it is creating multiple bubbles on stage or around an audience whilst this best female BUBBLE PERFORMER for events entertains as a walkabout entertainer her techniques for her bubble performance shows are second to none. The best female BUBBLE PERFORMERs for events can perform a show between 5 to 15 minutes and this will include a variety of bubble entertainment techniques where she creates bubbles between other Bubbles and also involves this amazing inclusion of smoke within certain bubbles during her performances. One of her most popular bubble entertainment tricks includes removing a smoke filled bubble from a large bubble by sticking her hand inside of the larger bubble and taking out the smoke filled bubble kind of like a magic reveal trick. 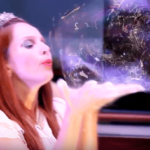 The best female BUBBLE PERFORMER for events has this extraordinary ability to involve and engage with children on stage or adults during her bubble entertainment show at various events. The bubble engagement trick that really displays how she involves people from her watching audience in her show is when she stands people within a hoop that she then brings the hoop over the people or person which from a visual aspect looks like they are totally immersed in a giant bubble. This entry was posted in Entertainment, Streets Utd News and tagged bubble entertainment for events, bubble female entertainers, bubble performer for events, female bubble entertainer, female bubble entertainment, female bubble performance, female bubble performer for event entertainment, female bubble performer for events, live bubble female performer, live bubble performer.